Comprising of a smudge-proof pencil and a velvety brow brush, this double-duty brow pencil is perfectly suited to create beautiful brows on-the-go. With its solid lead, the pencil glides on easily without tugging, giving you perfect control to create hair-like strokes for natural-looking brows. 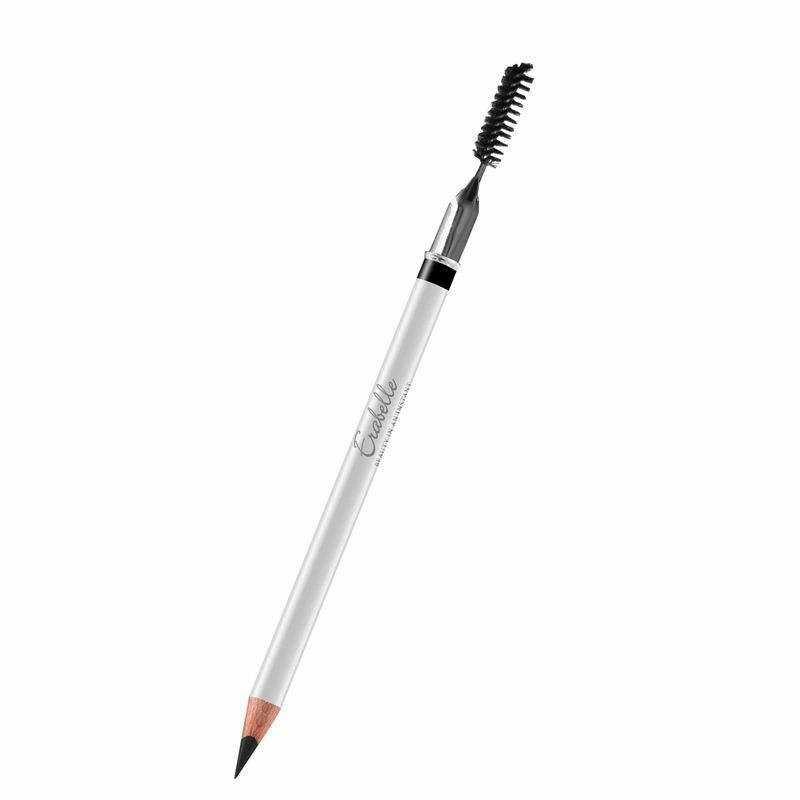 The accompanying spiral soft brush tames brows into place and blends for a soft, subtly defined look. Available in 3 different shades, it’ll complement almost any hair colors and skintones. Mica (CI 77019), Iron Oxides (CI 77499), Titanium Dioxide (CI 77891), Rhus Succedanea Fruit Wax, Hydrogenated Coco-Glycerides, Stearic Acid, Magnesium Stearate, Hydrogenated Castor Oil, Acetylated Sucrose Distearate, Microcrystalline Wax, Methyl Methacrylate Crosspolymer, Iron Oxides (CI 77491), Lanolin, Iron Oxides (CI 77492), Ultramarines (CI 77007), Tocopheryl Acetate, Propylparaben, BHT.